How can I determine the status of my driver's license and / or my eligibility to reinstate my driver's license? The Wisconsin Department of Transportation - Division of Motor Vehicles offers information regarding the current status of your driver's license and your eligibility to reinstate your driving privileges if they have been suspended, revoked or cancelled. For more information, please visit DMV Online Services Available to You. Birth, marriage and death certificates are handled by the Milwaukee County Register of Deeds which is located in the Milwaukee County Courthouse, 901 North Ninth Street. For more information, please visit the Milwaukee County Register of Deeds. How do I apply for an identification (ID) card? State identification cards are issued by the Wisconsin Department of Transportation (WisDOT). Where can I get information regarding my jury duty? The Milwaukee Municipal Court does not hold jury trials. For information relating to jury duty, please contact the Milwaukee County Circuit Court. How do I register to vote in the City of Milwaukee? Voter registration is handled by the City of Milwaukee Election Commission. How do I obtain information for property located in the City of Milwaukee? Some information on property located in the City of Milwaukee is available through the City of Milwaukee Assessor's Office. Other information on property located in the City of Milwaukee is available through the Milwaukee County Register of Deeds. How do I obtain property tax information for property located in the City of Milwaukee? Property tax information on property located in the City of Milwaukee is available through the City of Milwaukee's Office of the City Treasurer. 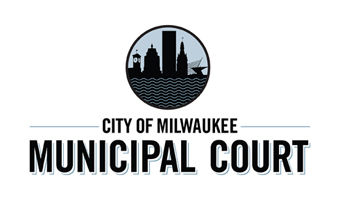 Other property tax information on property located in the City of Milwaukee is available through the Milwaukee County Register of Deeds. How do I obtain information regarding child support? Child support is handled by the Milwaukee County Department of Child Support Enforcement.